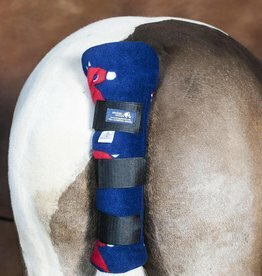 The Tail Guard is made from soft, fleece and padded for extra protection whilst travelling, with strong Velcro tabs to keep the guard securely in place. Set of four soft, cosy polar fleece boots for travelling or keeping legs clean and warm in the stable. The boots have strong Velcro tab fastenings and are padded for warmth and comfort. The Snuggy Horse Saddle Pad is fantastic for everyday schooling, hacking, warming up at shows or exercising for those who prefer extra padding under the saddle. 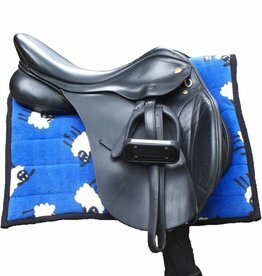 It can be used under any type or style of saddle.